Dr. Kwabena Duffuor is the immediate past Minister for Finance and Economic Planning and Africa’s Finance Minster of the Year 2011(The Banker, a Financial Times Publication).Before his appointment to the high office of a Minister of State, he also served as the Governor of the Central Bank of Ghana from July 1997 to 2001 and was named as one of the four best Central Bank Governors in the World at an IMF/World Bank meeting in 1999 (Euromoney Publication). In 1958, Kwabena entered Prempeh College on a Ghana Cocoa Board scholarship, where he obtained his O & A Level Certificates. For his A’Levels, he studied Physics, Applied Maths and Pure Maths. He then proceeded to the University of Ghana, Legon, where he graduated in 1968 with a Bachelor’s degree in Economics with concentration in Statistics and Operations Research. Dr. Kwabena Duffuor started his working career in July 1968 at Volta River Authority. He then moved on to Ghana Commercial Bank (GCB) now GCB Bank in February 1969 and was confirmed as a Research Officer in 1970. Between the years 1973 and 1979, while working with GCB Bank, Kwabena obtained a USAID and African Graduate Fellowship Awards to pursue further studies at the Syracuse University in New York. He obtained an MBA in Finance and Banking, an MA in Economics in 1975 and a PhD in 1979, all at the Syracuse University. While preparing for his PhD Thesis, Dr. Duffuor worked briefly with the International Monetary Fund (IMF) in Washington DC, USA as an Economist in the African Department, where he submitted a paper on “Exchange Rate |Policy as part of a stabilisation programme in Hyperinflationary situation, with special reference to Ghana”(African Department (IMF, Washington DC. September, 1979). Dr. Duffuor spent the first ten (10) years of his banking career in GCB Bank in Ghana working in Research, Domestic Banking and International Banking. He rose rapidly through the ranks to become a General Manager in 1990 and in June, 1991, he assumed the position of the Head of the London Branch. At the London Branch, Dr. Duffuor was instrumental in arranging a Syndicated loan of US140 million for Ghana Cocoa Board. This Cocoa syndicated facility has now become an annual transaction between Ghana Cocoa Board and the International Banks. While working in the GCB Bank, Dr. Duffuor’s love for acquiring and impacting knowledge led him to pursue a part-time career in academics, lecturing in Economic Theory and Public Finance at the Economics Department and the School of Administration, University of Ghana, Legon, between 1980-1991. In July 1995, Dr. Duffuor was appointed the Deputy Governor of the Bank of Ghana. As a Deputy Governor, Dr. Duffuor restructured Government accounts at the Bank of Ghana; this led to efficient implementation of both fiscal and monetary policies. The conversion of Ghana Commercial Bank London Branch into a U.K incorporated bank –Ghana International Bank plc. in March 1998. Introduction of Repurchase Agreement (REPOS) and the adoption of automated book-entry system for money markets. Dr. Duffuor retired voluntarily from Bank of Ghana in September 2001, with high commendation from the sitting President for his contribution towards the stabilisation of the Ghanaian economy during his term in office. GDP growth rate of about 15% in 2011. Highest in Ghana’s entire history, and highest in the world in that year (2011). Exchange rate stability between January 2009 (GHS1.20 =$1) to February, 2012 (GHS1.88 = $1). Instituted a Hedging Program (Petroleum Price Risk Program) aimed at stabilizing petroleum product prices and thus ensured that consumers paid a reasonable price for petrol at the pumps. Dr. Kwabena Duffuor exited the Ministry of Finance and Economic Planning after completing a full political term with the ruling NDC in February 2012. 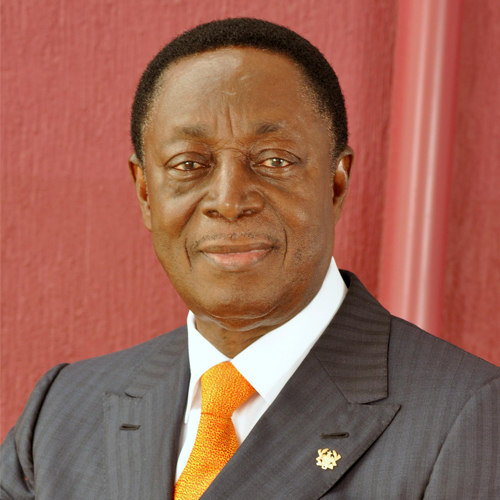 Dr. Kwabena Duffuor has won several awards over the years, both internationally and locally. January 2015: Viasat 1 named Dr Duffuor ‘Man of the Year 2014’ in Ghana, for his continuous success in business. September 2011: Dr. Duffuor was named African Finance Minister of the Year by Africa investor during the Africa investor Investment Climate Summit held in association with the World Bank Group during the World Bank-IMF annual meetings. July 2011: Dr. Duffuor was adjudged Africa’s Finance Minister of the Year by The Banker, an international financial affairs publication owned by The Financial Times Ltd.
July 2010: Dr. Duffuor was awarded the International Distinguished Merit Award by the West African Insurance Institute, in recognition for his outstanding contribution to the development of Insurance in Africa and specifically for his unreserved support for the promotion of insurance education in the region and especially to the West African Insurance Institute. September 2002 The Ashanti Regional chapter of the Rural Banker’s Association’s appreciated and honoured Dr. Duffuor for being founder and first President of the Association who also made very significant contribution to the development of a vibrant rural banking industry in the Ashanti Region. February 2002, the Rural Bankers’ Association of Ghana honoured Dr. Duffuor for his immense contribution to the development of the Rural Banking sector in the country. May 2002 Dr. Duffuor was honoured by the GCB Bank in recognition of his twenty-six years of loyal and dedicated service to the Bank as well as the honour done to the Bank in his appointment to the high office of the Governor of the Bank of Ghana. September 1999: Governor Duffuor was commended for being one of the best four Central Bank Governors in the World by Euromoney Publications at the IMF/World Bank meeting held in Washington. In 1998, Dr. Duffuor was voted the “Personality of the Year” by the Independent Newspaper in Ghana. For his loyal and meritorious service to the banking industry in Ghana the Institute of Bankers – Ghana, conferred an Honorary Fellowship on Dr. Duffuor in November, 1997. Dr. Duffuor has served and continues to serve on several Boards and committees. In March 2003, Dr. Duffuor was appointed Chairman of the Presidential Committee on Promotion and Revitalization of the Industrial Sector on Sustainable Basis. Again in December 2003, the Governments of Ghana and Denmark jointly appointed Dr. Duffuor to the Chairmanship of the Programme Committee for the Business Sector Programme Support (BSPS) which the Danish Government sponsored for the Ghanaian Private Sector Development for the period 2003 – 2008. Dr. Duffuor is currently the Chairman of Ghana Heart Foundation and Kumawuman Rural Bank. He has also served in a number of Directorship positions in various companies including Accra Brewery Limited, Shell Ghana Limited, Ecobank Cote d’lvoire, State Gold Mining Corporation. Ghana Cocoa Board, Ashanti Goldfields Company Limited, and, Ghana International Bank Plc. London where he was the Board Chairman between 1998 – 2001. He is also a Fellow of the Akuafo Hall, University of Ghana, and a Fellow of the Chartered Institute of Bankers. Dr. Duffuor is the Founder and Senior Advisor to HODA Holdings an entity with over fifteen (15) business enterprises in Insurance, Banking, Real Estates, Farming and Media Conglomerate. All these were accomplished alongside his banking, academic and political careers. Dr. Duffuor is married to Nana Akosua Fosuah and they are blessed with Five Children.